Join us this weekend - February 1 and 2 - for Monterey High School's production of Anne of Green Gables. Showtimes - February 1 and 2 at 7:30 p.m., and also February 2 at 2 p.m. in the MHS Little Theatre located at 101 Herrmann Drive. Eight of our sites are offering Abriendo Puertas (Opening Doors), a free 10-session curriculum centered on the cultural values, strengths, and experiences of parents. The curriculum consists of topics that range from early childhood development to school readiness, good health, social and emotional well-bineg, economic well-being, parenting styles, and leadership and advocacy. These schools are offering the program - Crumpton Elementary, Del Rey Woods Elementary, Highland Elementary, Marina Vista Elementary Arts Academy, MLK: School of the Arts, Olson Elementary, Ord Terrace Elementary, and Seaside Child Development Center. Click headline for specific dates, times and locations. Missed the Facilities Community Meetings? Click headline to access the PowerPoint Presentation. Rounding up all four and five year old children this month and February for transitional kindergarten and kindergarten registration for the 2019-20 school year. Visit our schools and take a tour of our TK and kinder classrooms. Learn about the exciting things happening for our littlest learners. Click headline to see tour dates, times and schools. It's getting real at Marina High School. 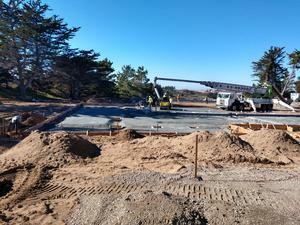 The concrete has been poured for the gymnasium's foundation. The Monterey Peninsula Unified School District and the North Monterey County Unified School District today announced that they are recipients of a Student Support and Academic Enrichment (SSAE) competitive grant offered by the California Department of Education to support activities in three areas, including, well-rounded educational opportunities, safe and healthy students, or effective use of technology. 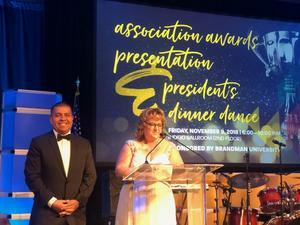 Dr. Manny Nunez, Principal of Seaside Middle School, was honored in November as statewide Middle School Principal of the Year by the Association of California School Administrators. Hear his story by clicking title link. Learn more about MPUSD's school facilities bond program. Specifically, find out more about Measure P and Measure I and how these general obligation bonds will help improve learning for our students and modernize our aging school facilities.